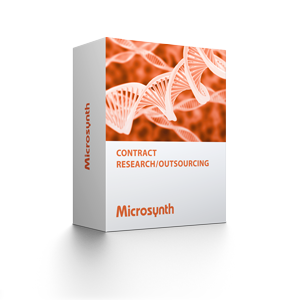 Microsynth has vast experience in running many different research projects for its customers including the development of new protocols. Successful projects in basic and preclinical research range from one-month projects to projects lasting several years. Experienced researchers with strong track records in microbiology, genomics, molecular biology, and bioinformatics help you to define the best strategy to address your research questions. A broad portfolio of validated techniques and protocols is available at Microsynth. Professional project management expertise, high-throughput sample logistics and close interaction with the sponsor will ensure that each outsourced project is carried out cost-efficiently as well as completed in time.